While big-name blockbusters can deliver huge profits for film studios, it doesn’t mean that they don’t come at a cost. The movie business is an expensive game, and to reiterate how pricey things can get, we’ve listed the top 5 most expensive productions in cinema history! Edgar Burroughs’ 1912 novel Princess of Mars was a huge inspiration for Star Wars, Avatar, and just about every other big sci-fi franchise out there, but it’s own direct adaptation didn’t deliver the return that those other films did. The film had a difficult production process, originally being slated for release in 2006, but due to many delays and reshoots, the budget ended up spiralling out of control before it was eventually released in 2012. Leading star Taylor Kitsch couldn’t help the film from tanking with audiences, generating only $200m in returns against an overall budget of $350m ($250m production plus additional expense for marketing and promotion). Plans for a trilogy were axed, and the film’s failure means the property probably won’t see the silver-screen again for quite some time. The first Avengers film had a notable $220 million budget, but it was overtaken by its sequel in 2014. Completely contrary to the debacle John Carter suffered, the $280m production budget for Age of Ultron, and the exceptional popularity of the Marvel Cinematic Universe as a whole, earned the movie a $1.4 billion box-office return. While Marvel have been enjoying the fruits of their cinematic labours, the DC universe hasn’t experienced the same appreciation. After the mediocre Man of Steel in 2013, and the highly-divisive Batman v Superman in 2016, there was a lot of pressure on 2017’s Justice League to perform well. Unfortunately, because of production issues regarding a late and unpreventable change in director, Justice League ended up not resonating well with audiences, and while it did generate more than double its budget, it’s considered a bit of a flop based on the high expectations set by Warner Bros. The Pirates of the Caribbean franchise has garnered a serous return, especially for something based on a theme-park ride. 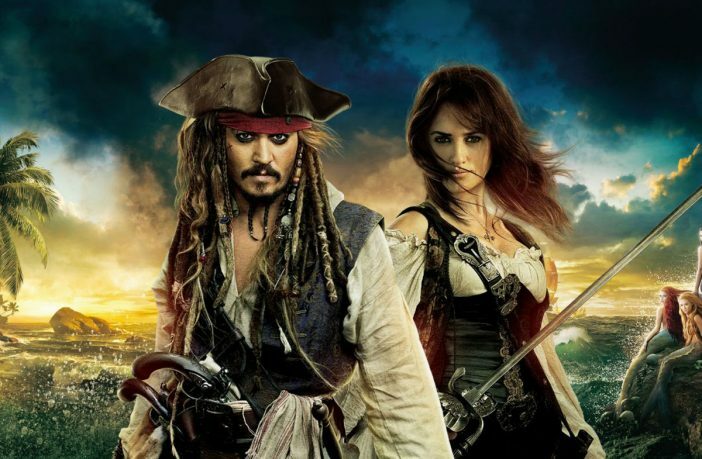 Johnny Depp’s iconic performance as Captain Jack Sparrow has brought a lot of attention to the films which have spanned from 2003 to 2017, yet it was 2011’s On Strange Tides which racked up the biggest production budget: $380 million. The Hobbit trilogy is comprised of three separate films, but with all being shot back-to-back (not unlike The Lord of the Rings trilogy), The Hobbit is considered as one production, and a massive one at that, coming in at $623 million. The trilogy didn’t receive the massive praise that the Lord of the Rings trilogy did, but in total it grossed close to $3 billion and showcased some spectacular visuals and continued the cult popularity of Tolkien’s works.